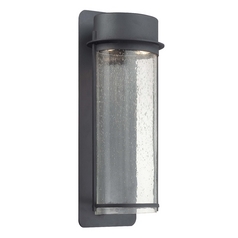 The following are detailed specifications about the Modern Outdoor Wall Light with Clear Glass in Black Finish. This contemporary outdoor wall light belongs to Minka lighting's Artisan Lane Collection. 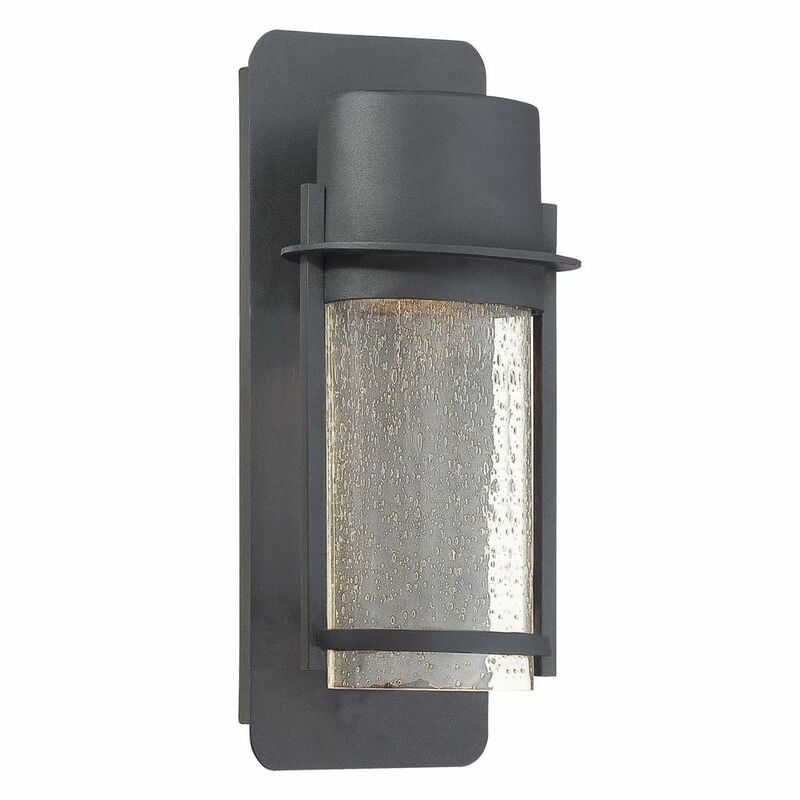 Its sleek design, cast aluminum construction, and gorgeous black finish are rendition of current trends but the clear seeded glass lends a vintage touch too. The seeded glass accents the rich black finish, offering style and grace in every facet of its exterior. The bottom of the shade is open so it will not gather moths and insects. With dimensions of 4-3/4-icnh wide by 13-inch high, the light is sure to bring a clean sophistication to your outdoor living space. 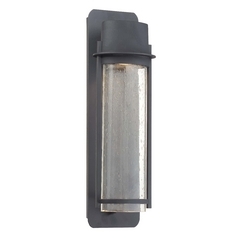 This Modern Outdoor Wall Light with Clear Glass in Black Finish is part of the Artisan Lane Collection from Minka Lavery. The following items are also part of the Artisan Lane Collection.